Hi from Okinawa. I see that all the previous posts have got themselves in a mess with dates but we are in Okinawa now and it is the 15th of January. All I can say about Okinawa weather in January is that it seems a bit like Wellingtons weather. We were promised warm weather but it is nasty, the wind is blowing and the rain is going sideways. Today I have been to see the underground bunkers where the Japanese Navy officers committed suicide as the Americans invaded during WW2. I went there because I have some Japanese friends whose father was one of the officers who died. His poor wife was left with 8 children to bring up alone. I got horriby lost getting there and had to hail a taxi and pay heaps to get back to civilsation - so much for following the brochure instructions to catch bus 33. Then I went to Shuri Castle which was the centre of the Ryukyu Kingdom, who were the rulers of the Okinawa Islands before the japanese. from there I walked down the hill to see a Bingata fabric workshop and couldn't find the other two I was hoping to see. 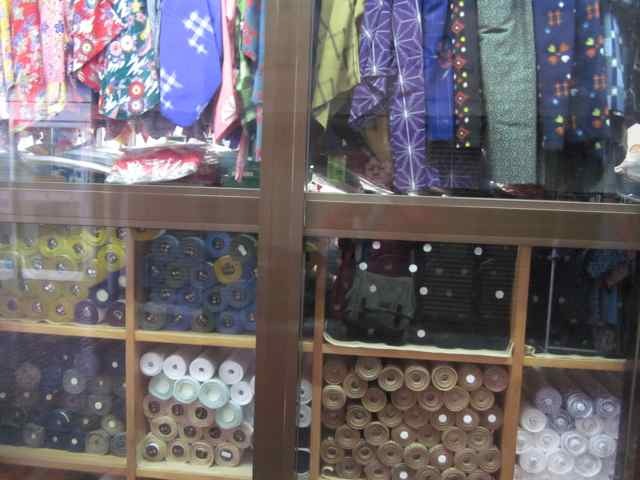 I then walked all round the market and in and out of every fabric shop. 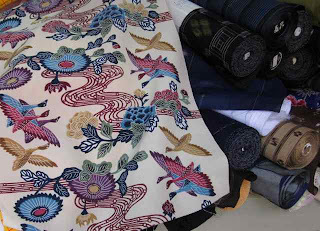 I didn't buy any fabric because it is all in big rolls, or is small pieces of incredibly bright 'fake Bingata' which is so bright it looks like Hawaiian fabric. The real Bingata is so much more subtle! Then I went to the Naha City Museum of Traditional Arts and Crafts, followed by the Okinawa Prefectural Art Gallery and Museum. 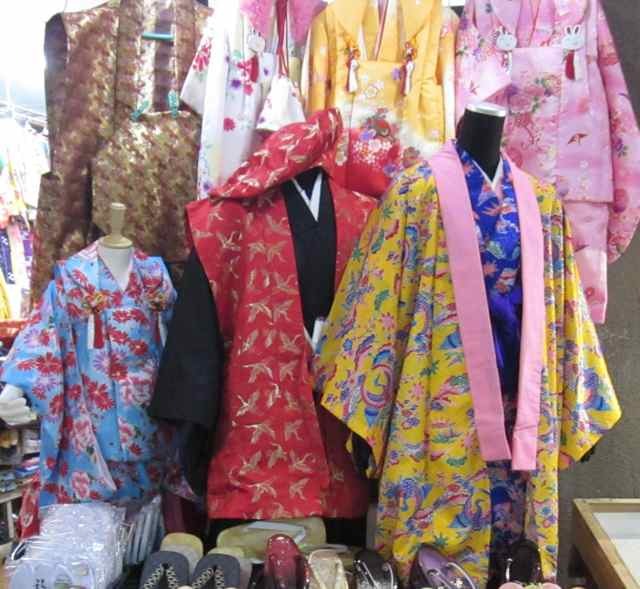 There are good examples of hand stencilled Bingata kimono in both museums and a good video showing in the Craft Museum on how the fabric is decorated. First a stencil is cut, then rice paste is squeegeed through the stencil and allowed to dry on the fabric. 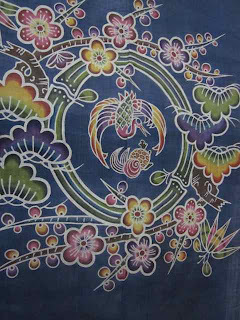 Coloured dyes are pasted onto the fabric where there is no paste resist, then after all the fabric is coloured in, the dye is fixed then the paste is washed out. The colours are often beautifully shaded from light to dark within the coloured areas. My feet are dead and I feel like I need tomorrow to recover. 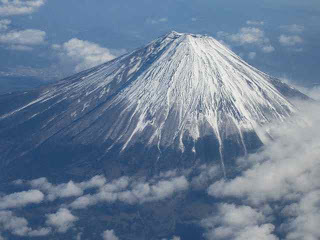 We are off to Nago which is further North as my husband is going to a conference there. Thanks for the post and lovely photos. I was in Naha a few years ago and also had trouble finding good sources of bingata, or even visiting studios. But I had two experiences that were really great - maybe you'd be able to visit these places. 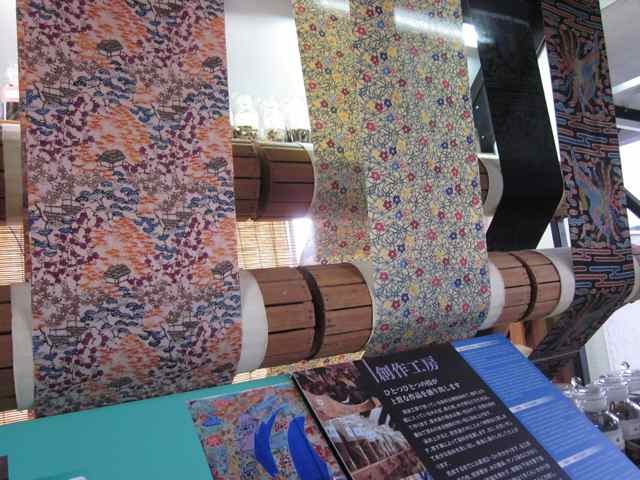 One was the factory where they're using sugar cane to dye fabric. Beautiful chartreuse colors! There was an outlet downtown where they sold the items and a video of the process but if you could get to visit one of the workshops (also in Naha) that was a real treat. 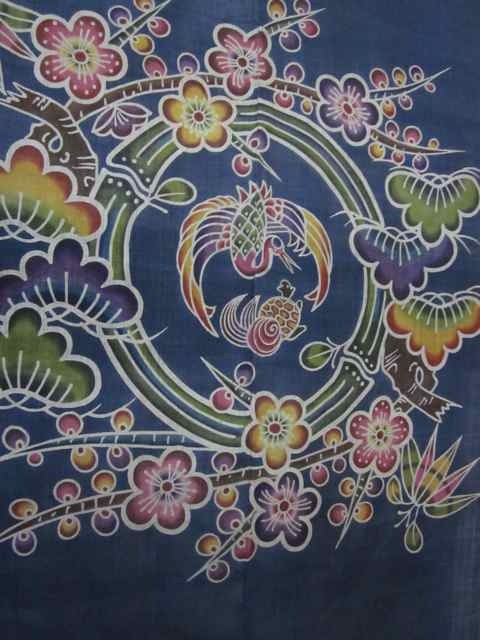 The other place was a factory where they made exquisite ikat and kasuri. I could dig out my notes from the trip if you can't find a local person to help you. I have a friend living in Naha that I could also contact for details. He drove me around so I'm afraid I can't help with locations. Email me directly if you have time and interest in doing these things. 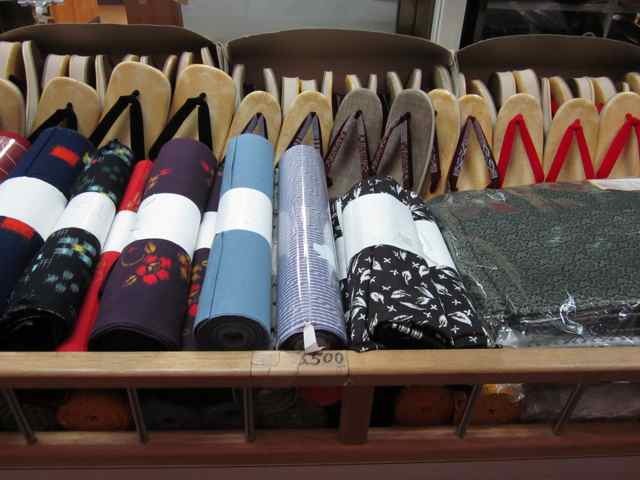 nancy@kyotokimono.com. Have fun! I do wish I had known that before! I'd love to see the sugar cane dyeing but we are in Nago at the moment and oly have one evening back in Naha before flying back to Tokyo.If you could find details for the outlet in Naha I'd be grateful, it might still be open when we get there but we arrive late afternoon which would be too late for factories or studios.